I think that Bobby Flay is pretty amazing and am consistently impressed by his use of ingredients and incredible flavor combinations. I've made quite a few of his recipes, including this Spice Rub, and look forward to one day dining at one of his Mesa Grill locations. While most of his recipes tend to be a little more involved, although totally worth the effort, this recipe combines just three ingredients and produces a flavorful, satisfying dish. 2. Whisk together coconut milk and chipotle puree until smooth. 3. In a 10 x 10 x 2-inch casserole, arrange the potatoes in an even layer on the bottom of the casserole, drizzle with 3 tablespoons of the coconut milk mixture and season with salt and pepper. Repeat with the remaining potatoes, coconut milk, and salt and pepper to form 8-10 layers. Press down on the layers to totally submerge in the cream mixture. 4. Cover and bake for 30 minutes, remove cover and continue baking for 30-45 minutes, or until the coconut milk has been absorbed and the potatoes are cooked through and the top is browned. 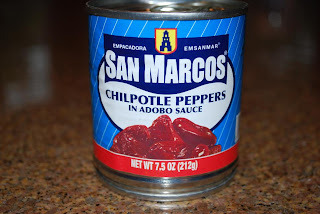 *Chipotle peppers (smoked jalapenos) in adobo sauce contain small amounts of vinegar and sugar. For a similar smokiness, without the vinager and sugar, try substituting 1 T. ancho chile powder. 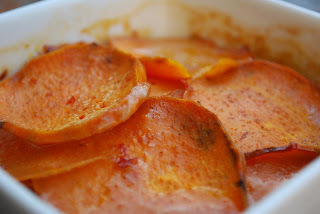 I love these peppers and feel that the tablespoon of puree used in this dish is okay for me. These 3 researches from major medicinal magazines are sure to turn the conventional nutrition world upside down!